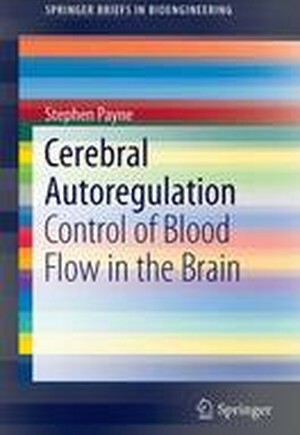 This Brief provides a comprehensive introduction to the control of blood flow in the brain. Beginning with the basic physiology of autoregulation, the author goes on to discuss measurement techniques, mathematical models, methods of analysis, and relevant clinical conditions, all within this single volume. The author draws together this disparate field, and lays the groundwork for future research directions. The text gives an up-to-date review of the state of the art in cerebral autoregulation, which is particularly relevant as cerebral autoregulation moves from the laboratory to the bedside. Cerebral Autoregulation will be useful to researchers in the physical sciences such as mathematical biology, medical physics, and biomedical engineering whose work is concerned with the brain. Researchers in the medical sciences and clinicians dealing with the brain and blood flow, as well as industry professionals developing techniques such as ultrasound, MRI, and CT will also find this Brief of interest. Physiological Basis.- Measurement Techniques.- Mathematical Models.- Analysis Techniques.- Clinical Conditions.